Mohamed L. Salem, Soha Gomaa, Mohamed Nassef, Sabry A. El-Naggar, Abdel-Aziz A. Zidan, Essam M. Ibrahim, Hassan El-Bate, Abdel-Rahman N. Zekri, Hala A. Abdelhady. 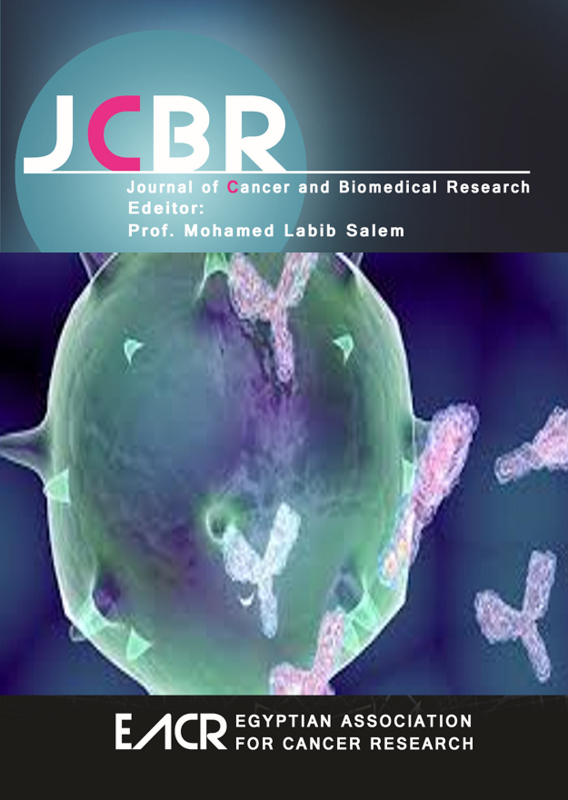 The articles in Journal of Cancer and Biomedical Research are open access articles licensed under the terms of the Creative Commons Attribution Non-Commercial License (http://creativecommons.org/licenses/by-nc-sa/3.0/) which permits unrestricted, non-commercial use, distribution and reproduction in any medium, provided the work is properly cited. Copyright © 2019 Journal of Cancer and Biomedical Research All Rights Reserved. Subject to change without notice from or liability to Journal of Cancer and Biomedical Research.